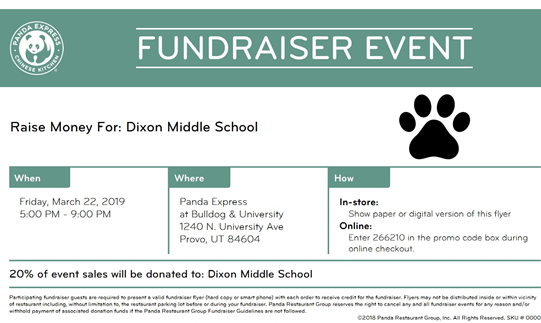 Help support Dixon on Friday March 22nd from 5-9PM by going to Panda Express on the corner of Bulldog and University Ave in Provo! 20% of the proceeds will go to Dixon! Make sure to show this flyer at checkout for the proceeds to go to Dixon!